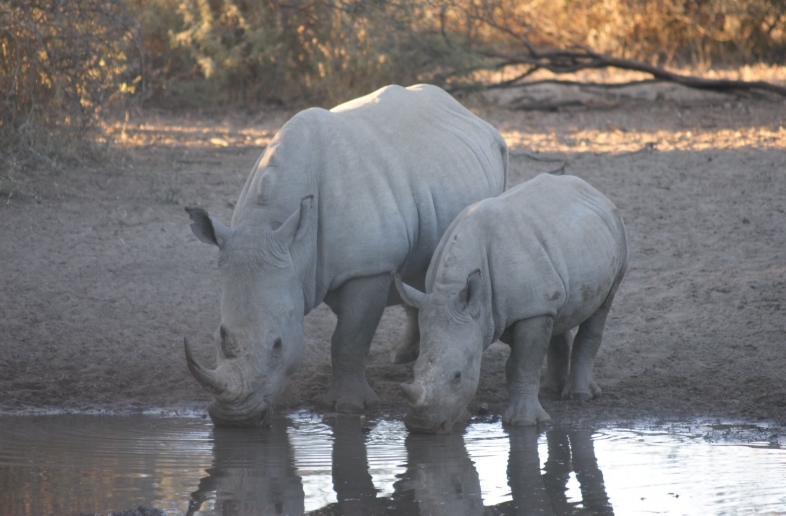 The Khama Rhino Sactuary is a project, sustained by a community trust established in 1989 with the aim of reintroducing white rhino to Botswana. Covering approximately 4 300 hectares of Kalahari Sandveld, and the Serwe pan, a large calcrete depression, lies in the centre of reserve. The Khama Rhino Sactuary not only has the largest breeding herd of rhino in Botswana, but is also home to a diverse range of antelope and smaller mammals and more than 230 species of birds. To date, 14 white rhino have been translocated into the Sanctuary. 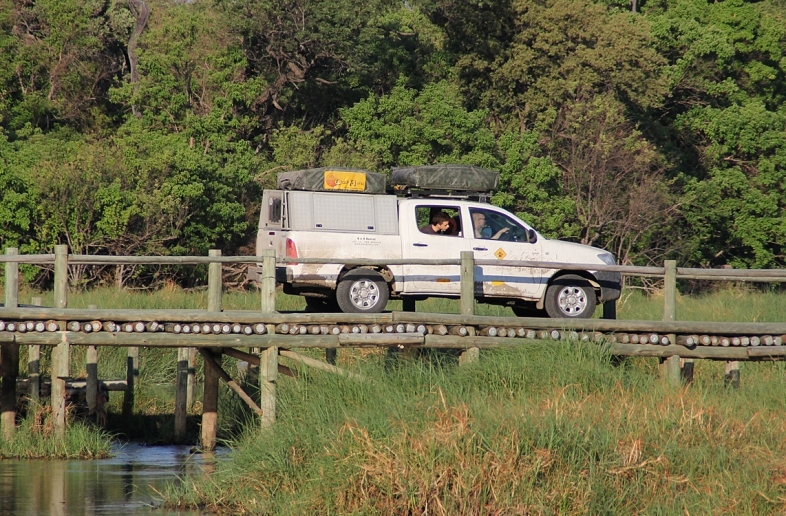 The first four arived in February 1993 from northern Botswana and were released to raom free within the Sanctuary. The Rhino settled well and have since bred successfully. Currently there are 32 white rhinos and 2 black rhinos in the Khama Rhino Sanctary. In addition to being the home of many rhino, the sanctuary provides a safe haven for many other aminals species such as leopard, caracal, porcupine, brown hyena, zebra, blue wilderbeest and many other antelope species. In 1995, Debswana and De Beers, had sponsored a 28km electric fence. Which enabled the rhinos to roam freely. The Sanctuary is a non-governmental charity organisation relying solely on donations, sponsorship and visitors to the Sactuary. With this in mind the sactuary has achieved many of its objectives with the help and support of world wide sponsors. One of the Sanctuary’s objectives was to open an enviromental education centre, this objective was achieved and they now offer educational tours to schools and any other groups that are interested.